YIPPEE! The audit I was working on is over!! But I've been working so hard that now I'm sick; stamping will have to wait. 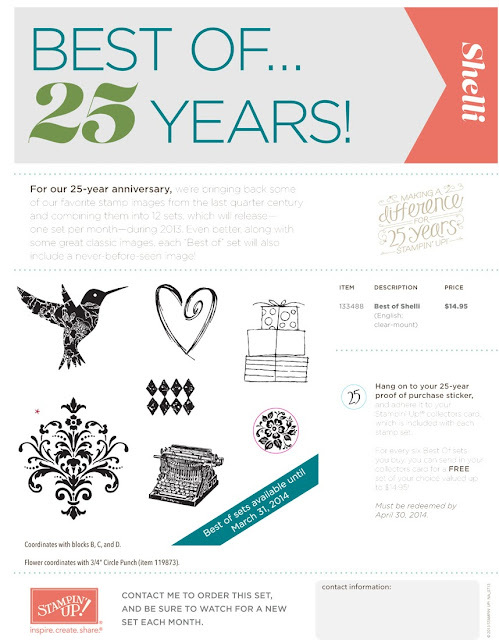 So, I thought I'd share with you the July "Best of 25 Years" stamp set; it was inspired by Stampin' Up Co-founder, Shelli Gardner. You can go to her blog HERE to see some GREAT card samples using these stamps! If you'd like to order Designer Series Paper, or any other Stampin' Up merchandise, please click here to order Online. 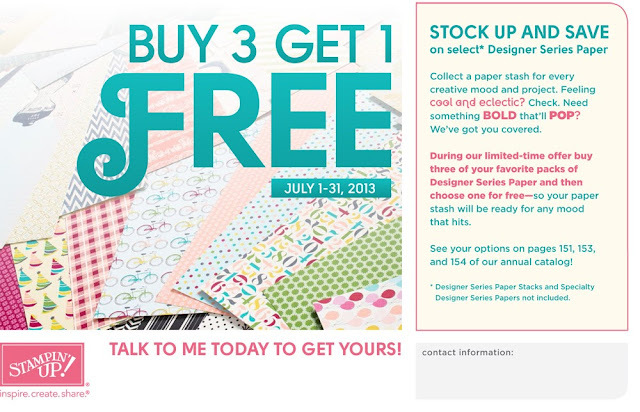 If you don't already have a demonstrator, I'd appreciate it so much if you'd choose me as your Demonstrator when you order Online - AND you could take advantage of my Frequent Shopper Rewards Program (details here)! Thanks for visiting and "see" you later this week!